DEBKAfile: When Netanyahu, who also serves as defense minister, spoke of the need to defend Israel’s economic assets, he most certainly had in mind the preparations Hizballah is making to attack Israel’s economic infrastructure, especially its off-shore gas rigs. This is one of the main challenges facing the new chief of staff. Netanyahu advised the Iranians to make haste and leave Syria before the IDF drives them out, spelling out another of Lt. Gen. Kochavi’s toughest missions. Thus far, despite hundreds of Israeli air strikes, Iran’s military resources in Syria are still firmly in place. The prime minister in his address reiterated the need for victory and the IDF fighting to win. He was clearly trying to debunk the pervasive military doctrine which asserts that there are no victories in modern warfare. 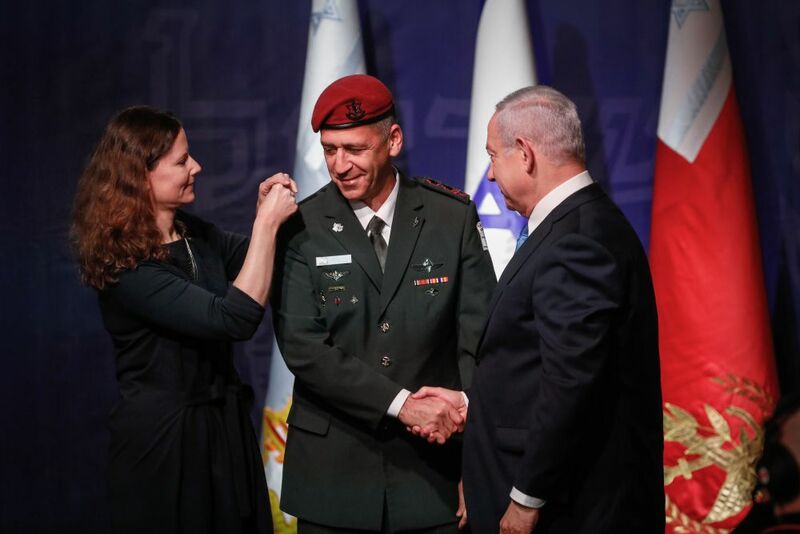 Given the formidable missions ahead of him, the new chief of staff will need to instill the opposite mindset in the IDF’s high command. He comes from the right background. Kochavi joined up as a former paratrooper, who achieved command of the Paratrooper Brigade after leading the prestigious 101st Battalion. His career included heading the Military Intelligence Directorate (AMAN), OC Northern Command, and finally, deputy chief of staff. Kochavi has a bachelor’s degree from the Hebrew University of Jerusalem and a master’s from Harvard University. The newly-promoted, Lt. Gen. Aviv Kochavi, 55, proceeded to Jerusalem after the ceremony in Tel Aviv. There, he paid his respects at the national monuments of the Western Wall and Mt. Herzl. Sorry, but the Iranian launch was very successful! Only, the flying had speedy problems. This makes me feeling very mossad for the mullahs. To kill a snake it is best to cut off it’s head. Don’t be fooled that satellite did not go into orbit. The Iranians were testing the ICBM part. I doubt if there was a satellite in the exercise. The little star is no joshua. Kosiba can’t save. A lesson from Amos would seem apropos. 1. Woe to those who are at ease in Sion and to those who are secure in the mountain of Samaria, those called the first of the nations, and the house of Israel has come to them. The seed of David has been king of kings for the last 100 generations, 2,000 yrs.